[INQ. NO. 1803M14] The automobile is a highlysophisticated machine and the rate of change in today’s vehicles is accelerating as more electrical and electronic componentry is introduced. 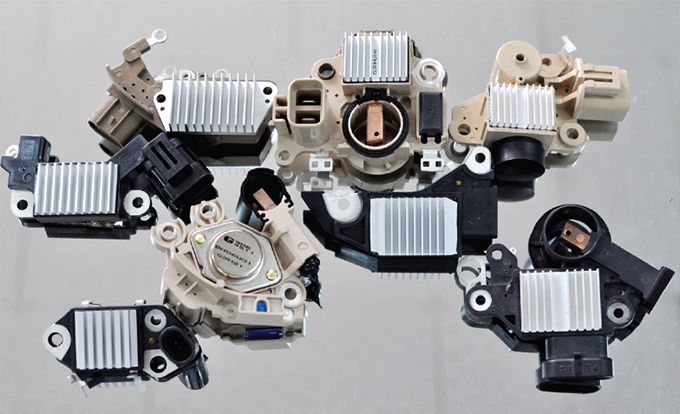 As an expert in the field of automotive thermal management, Hanon Systems plays an important role in the supply of solutions that not only deliver cabin comfort and enhance powertrain efficiency, but also can maintain optimal operating temperatures for these devices. The HVAC module is the central air distribution component in an automobile’s air conditioning system. It takes filtered outside air and controls the airflow rate, air temperature and humidity. By delivering this conditioned air to outlets, the module is able to rapidly cool, heat and dehumidify the vehicle’s cabin environment. To address the demands of today’s marketplace, Hanon Systems applies its long history of HVAC design and manufacturing to offer a suite of solutions that satisfies an increasing range of requirements by global automakers to optimize performance, improve fuel efficiency and ensure the occupant’s sense of comfort and cleanliness. Hanon Systems’ award-winning triple-zone HVAC is a single module that enables vehicle occupants to independently control the temperature, direction and strength of airflow in their immediate proximity in order to create an individualized cabin comfort experience for the driver, front seat and rear passengers. Its unique and compact design reduces overall weight and material cost by up to 18 percent compared to other multi-zone solutions, and improves packaging in the engine compartment to enable more available space in the vehicle cabin. Hanon Systems’ flat HVAC is designed to make the best use of space in the engine compartment, and this revolutionary design can be placed in the floor panel, under seats or at the side of the vehicle. By completely redesigning the HVAC form, vehicle designers can now explore new ways to create additional space in the vehicle cabin to create a more comfortable experience for passengers. The company’s sliding door HVAC is also competitive, which is designed to reduce the overall size and weight of the HVAC by integrating multiple revolving doors that control the temperature and direction. By reducing the HVAC installation space, a larger buffer space can be created to enhance the frontal crush zone, thereby improving safety in the event of vehicle impact. [INQ. NO. 1510M22] JEIL E&S has been a leading company in the gasket, packing, flour plastics fields of business since its foundation, as Jeil Chemical Industry in 1969. JEIL E&S’s sealing business has various supplying ranges such as Non-Asbestos Gaskets, Insulation Sets, PTFE, Metallic gaskets, ball valves as well as packing products more than 45years with accumulated know-how based experience and continuously extended its business areas to the various industrial fields including Power Plant, Automotive, Shipbuilding, Semi-conductor, etc. JEIL E&S’s world firstly developed LEAKBLOK® is an eco-friendly solvent-free soft gasket with distinguished from the traditional way of calender roll production. It specially produced with UMCS(Unique Mechanical Compounding System) & UMPS (Unique Manufacturing Process System) methods. Its method contributes to excellent reduction of VOC (Volatile Organic Compound) emission because of no using solvent from compound and manufacturing system. It acquired NET (New Excellent Technology) from Korea Government and TA-Luft, WRAS, Fire Endurance, BS7531 approvals and is suitable for the steam. [INQ. NO. 1311C08] Young Shin Chemical Co., Ltd. (www.youngshinchemical.com) specializes in developing and manufacturing automotive rubber sealing and weatherstrip for industrial use, contributing to the development of the automotive industry in Korea.Weatherstrip is EPDM rubber sealings for automotive doors, windows and trunks to prevent, rain, water, dust and even noise from entering. Weatherstrip also functions to accommodate motion vibrations of the vehicle door when opening and shutting it. Thus, Weatherstrip is important in maintaining satisfactory ride quality in the vehicle, but making highly durable and flexible product requires high technical skills. Since Young Shin Chemical was founded in 1982, the company has been continuously investing in R&D and up-to-date equipment to manufacture highly competitive automotive rubber sealings. 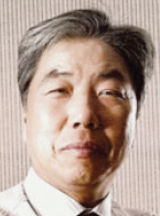 In 1980s, the company commenced practicing global standard by TAA with Kasei Kogyo, Japan. 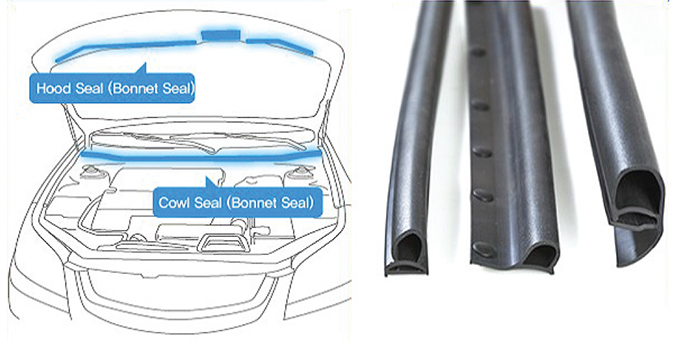 In 1999, Young Shin became the first-ever Korean exporter of Weatherstrip door seals to the USA market. By successfully targeting the global markets, the company managed a turnover of 46 billion won last year and about 90% of its revenues come from overseas markets. With such an outstanding achievement, Young Shin Chemical, headed by CEO Kang Youngjun, won the 62nd trader of the Month award, and it was also presented with the 30 Million Dollars Export Tower in last December. Kang Young-jun, who founded Young Shin Chemical in 1982, put all his energy into producing world-class automotive rubber sealings through ceaseless challenge toward meeting customer satisfaction, new technology and best quality. So for the past 30 years, he has successfully managed the company, overcoming numerous difficulties with strong leadership. Filed Under: Automotives Tagged With: automotive, Motor, Weatherstrip, Young Shin Chemical Co. Ltd. Since its foundation in 1962, NAM YUNG has been grown as one of the leading lighting manufacturer in the world. Automotive HID lights & Halogen & House hold lamps & LED lamp are our production mainstream. clear and coated (Blue/Gold/Super White) bulbs and we’ve been supplying to the Korean car makers, HYUNDAI and KIA motors, as well as BOSCH, WURTH group companies in all over the world, IPF and AUTOBACS Japanese chain store. • Namyung Lighting Co., Ltd. If you want more information about ‘Automotive Lamp & LED Lamp’, please contact us. DAEBO Industry has ever since its establishment been focusing its business capacity on contributing to enhancement of the lives of human-being through continuously releasing new automotive items and persistently elevating the quality of the products. This small but strong player in the nation’s automotive car market is considered one of the major manufacturers holding superior manufacturing technology of aluminum highpressure injection and processing. It has been posting approximately more than US $15 mil. sales on a yearly basis since 2008 through supplying its automotive parts, gas equipment, optical and electronic components, etc. to the nation’s top five mid-sized companies. The Gyeongnam Province-based makers already started shifting its strategic destination in sales into potential foreign markets, with the existing domestic market getting tougher in completion mainly resulted from limited demands. The automotive ladder frame is current its flagship item featuring employment of high-density and high-pressure in manufacturing process instead of preferring the existing common methods of using a cast iron and casting using gravity. The product, which can be mass-produced with the high-pressure injection, features an excellent precision size and surface illumination density. Because of its lightweight material, it can considerably help increase the vehicle gas mileage, meaning that it can contribute to cost-saving in the era of high oil prices and to enhancement of product productivity. With the function of getting rid of CO2, it is expected to play a meaningful role for the company to contribute to the protection of the Earth environment. • DAEBO Industy Co., Ltd. If you want more information about ‘DAEBO Industy Co.’, please contact us. South Korea’s car makers are establishing an impressive presence in the North American car market amid cut-throat competition with their Japanese rivals. Among them, Hyundai-Kia’s performance is most prominent. The global leading carmaker Hyundai-Kia has ranked first in the sub-compact, compact and mid-size car markets for the second consecutive month in the United States in July. Hyundai-Kia has topped the U.S. sub-compact car market for four consecutive months in terms of sales volume by selling 8,903 sub-compact cars, according to reliable automotive data providers. It sold 34,791 compact cars in July, claiming the top position in the US compact car market for the January-July period this year. In the U.S. midsize car market, Hyundai-Kia outperformed its Japanese rival Toyota for the second month by selling 34,295 cars. Hyundai-Kia’s feat in the U.S. is meaningful in that it was achieved as sales of its Japanese rivals including Toyota, Honda, and Nissan started bouncing back from sluggish performance induced by a great earthquake in Japan. The nation’s vehicles production in July 2012 decreased by 9.2% compared with a year before to 355,627 units due to partial strikes in major makers coupled with reduced operating days. The growth pace has slowed for the year-to-date production, with only a 1.5% growth producing 2,735,943 vehicles. Despite new model introduction such as New Santa Fe and K9, domestic sales in July 2012 shrank 4.6% at 122,086 units, owing to worrying global economy by financial crisis in Euro zone and contracted consumer confidence. Home sales during the first seven months fell by 5.8% year-on-year registering 817,202 units. Exports in July drop by 10.4% shipping 238,824 units under the rising uncertainty over the global economy by financial turbulence in EU and supply shortage by makers’ strikes. Year-to-date exports recorded 1,939,576 vehicles with a 7.3% rise over a year earlier. Amidst of the fierce competition in the U.S. auto market recently started making its solid form for all South Korean auto makers and auto part manufacturing companies with global rivals including some Japanese car makers completing their warreadiness against Korean counterparts, South Korean auto part manufacturers are scheduled to participated in the upcoming AAPEX 2012, where Korean companies are to examine the possible expansion of their presence in the market. Arranged by KOTRA, this year Korean booths are expected to deliver excellent business results.